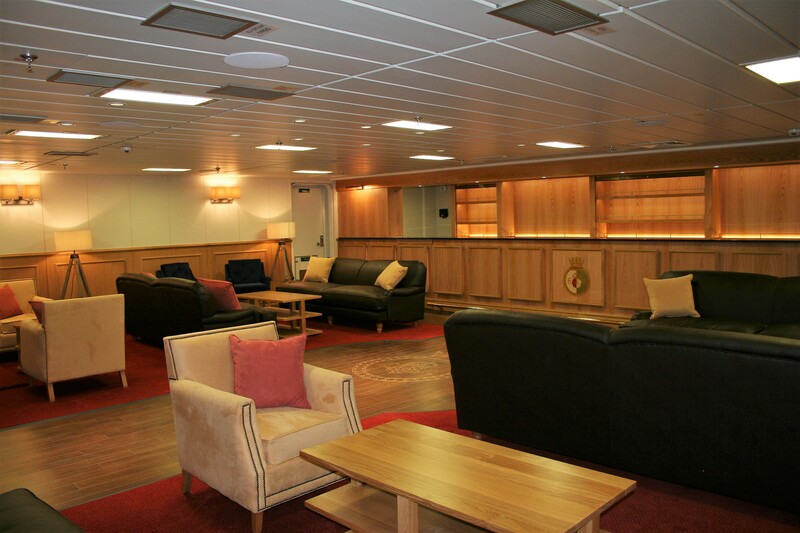 Southampton based marine interior specialists Trimline have completed a conversion of the Wardroom and Flag Dining Room onboard HMS Queen Elizabeth. 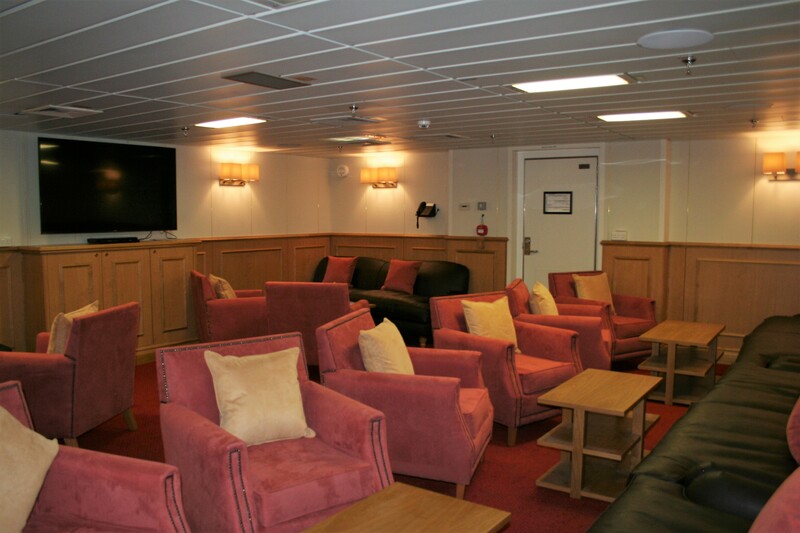 Undertaking the project soon after the ship’s arrival in Portsmouth, the team from Trimline took just three weeks to transform the two public spaces onboard the ship into areas that will enhance the ship’s role as the United Kingdom and the Royal Navy’s flagship around the world. 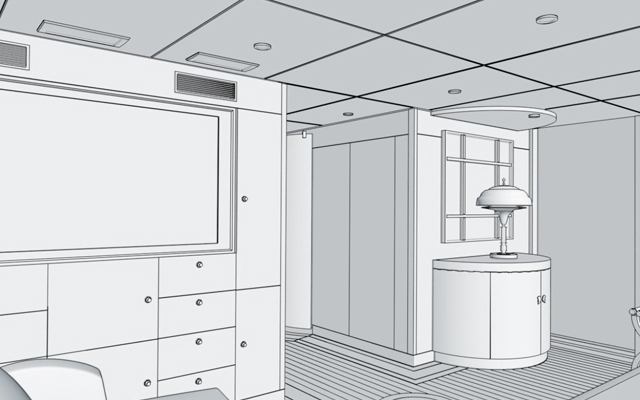 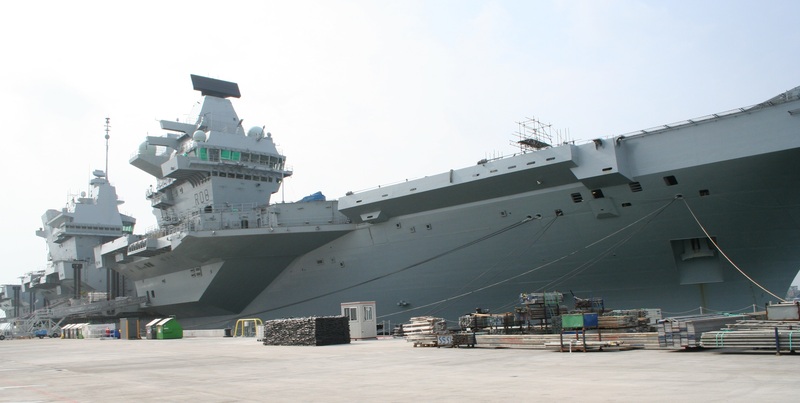 By working closely with the ship’s staff and MoD, Trimline created a design concept and specified all furnishings, fittings & equipment to enhance the space, making it more fitting for the defence diplomacy role that the ship will undertake in the future. 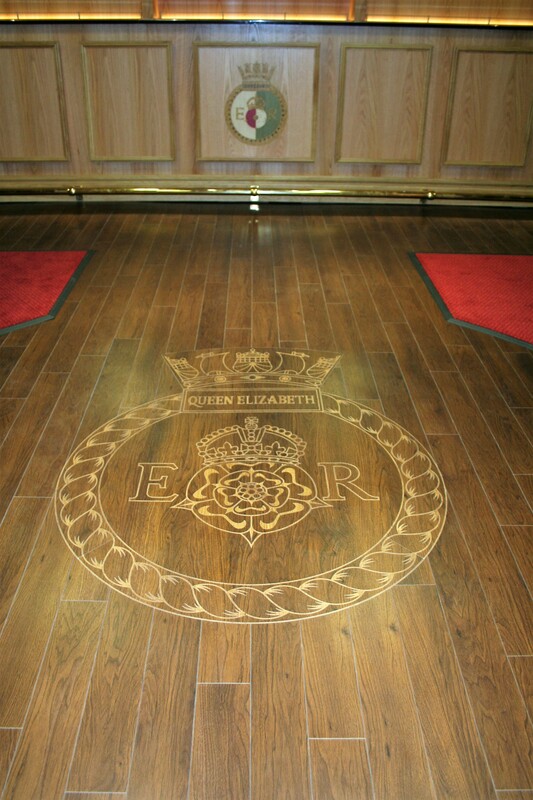 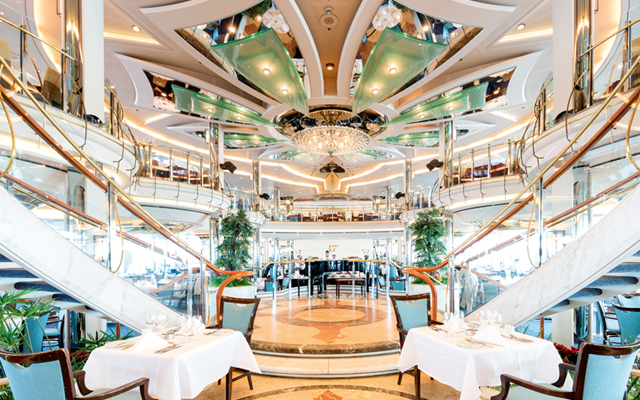 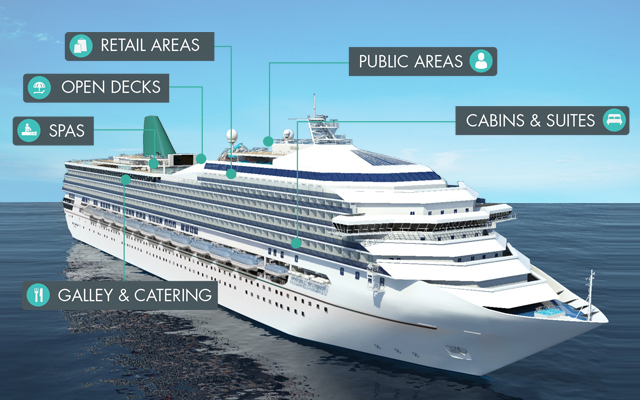 Some of the main features of the project were the main bar and a specially commissioned copy of the ships crest which forms the centrepiece of the walkway in the entertainment space.